This is the pen you'll never put down. With its solid construction, soft-grip finish and techy details, it feels great in hand and looks good to. 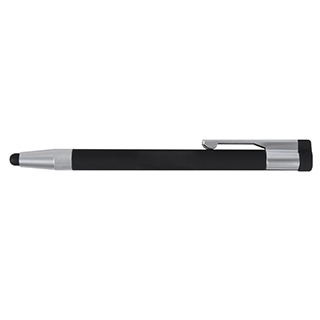 Featuring a stylus, twist-retract ballpoint and hidden USB drive, the Tribeca looks like a regular pen but acts like a spy gadget. Imprint in vivid full color process or laser engrave for a stunning impression. Imprint Area: 1.57" x 0.24"
Product Dimensions: 5.51" x 0.39" x 0.39"